TRC #516: Fundamental Value Differences + Apple Ends Music Downloads? + Did Sony Release Fake MJ Songs? Happy Fall, Checkers! Darren is finally back where he belongs with The RC crew and kicks off the show asking whether fundamental value differences are as fundamental as they seem. Cristina tries to get to the bottom of rumours that suggest Apple will be ending MP3 music downloads on its iTunes platform in 2019. Finally, Adam looks into recent claims that Sony Music released “fake” Michael Jackson songs. 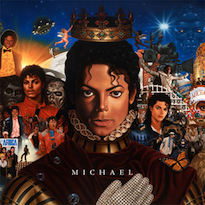 Did Sony Release Fake MJ Songs?